Gardening doesn’t always require a garden. 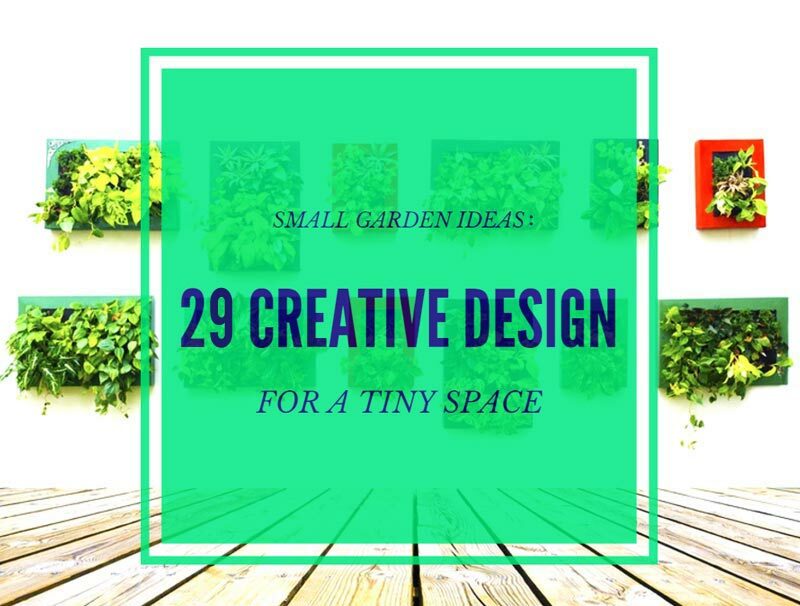 Sometimes, a small backyard, a patio, or even a balcony or terrace is a great space where you can unleash the gardener in you. However, to build your alternative garden, you’ll need the best planter boxes and pots. As far as I’m concerned, I believe planter boxes are better. Often, they are more spacious compared to the pots and, most of the times, easier to include in a décor. On the other hand, planter boxes are perfect for many plants, including vegetables and perennials. This guide will show you how to choose the right planter boxes for your alternative garden, comparing materials, models, and sizes. However, if you don’t feel like reading through the whole article, click on the links below to check out our selection. Before getting into detail, I must say that there is no such thing as an ideal planter box. I’ve been cultivating perennials and vegetables for years, both in the garden and in containers, and I’ve come to the conclusion that each planter box comes with advantages and disadvantages. 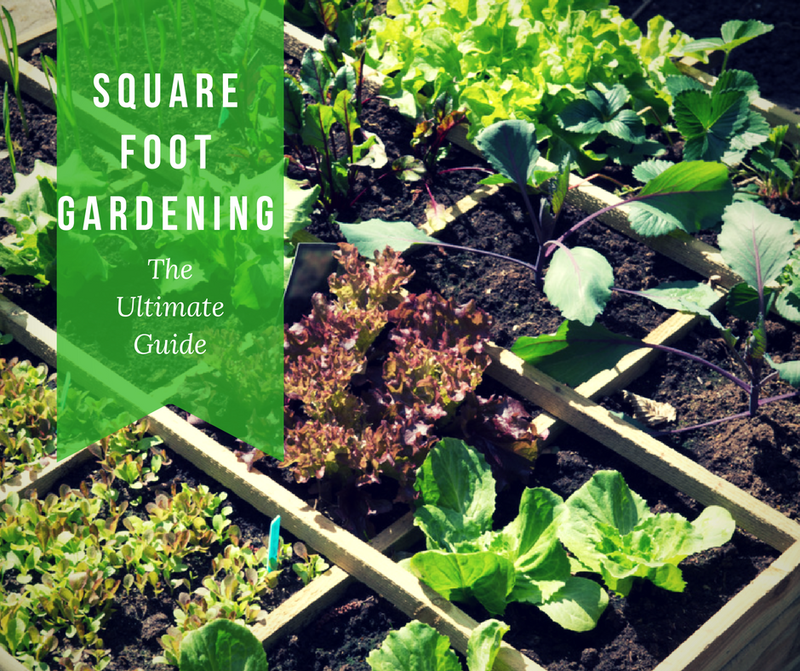 Nevertheless, they are important for gardening, regardless of how large is your outdoor space. Let’s see what to consider before buying. The size of the planter boxes is probably the first aspect to consider, especially if you’re planning to plant perennial vegetables. To ensure a good yield and to allow the roots to grow strong, you need to provide the plant with a sufficient amount of land. On the other hand, the planter shouldn’t be too large. If the roots don’t grow in all the parts of the planter, the soil can accumulate excess moist which could trigger the formation of mold or pests. The depth of the planter box is another criterion to consider. Aromatic herbs and perennials which adapt easily to harsh conditions thrive in planters with the depth of about 10 inches. For larger veggies, a box of at least 15 inches deep is recommended. Planter boxes have essentially two shapes, rectangular or square. However, there are some models that come with legs and that look more similar to a table than to a planter. There are no particular pros and cons regarding the shape, and choosing the right one is more often than not a matter of personal preference. Plastic: plastic planter boxes are affordable, easy to maintain, and they usually come in all shapes and sizes. Because they are lightweight, plastic planter boxes are ideal to mount on the edges of a terrace or balcony and also suitable to arrange on a windowsill. Plastic also retains moisture very well, so you’ll not have to water your plants daily. However, make sure the planter has drainage holes. Wood: wooden planter boxes are among the most popular. They match well in rustic decors and are suitable to use on a patio, or even in a backyard. Wooden planter boxes can come with removable bottoms and double as raised bed frames, or even with no bottom at all, in which case they are suitable to use in an outdoor garden. Terracotta: terracotta planter boxes are usually heavy, but they are stylish and match well with all environments. Moreover, terracotta is a porous material that ensures the right retention of moist together with a proper drainage, keeping the roots happy and healthy. Metal: metal planter boxes are ideal for those who wish to build an indoor vegetable garden, but are also suitable to use outdoors, even directly in the garden. These planter boxes are usually lightweight and easy to maintain. Just like the wooden planter boxes, they can come with a removable bottom or with no bottom at all. If the box has a bottom, make sure it also has proper drainage holes. One of the most important things to check before buying planter boxes is the drainage. Check the bottom of the boxes and make sure they have sufficient and large enough drainage holes. Excess moist can and will damage the roots of your plants, so you’ll want to make sure this won’t happen. Some planter boxes have additional features you might want to consider. For example, some boxes come with hooks or mounting systems that allow you to fix them to the edges of a balcony or windowsill. Removable bottoms are also interesting to have if you also have a garden. There are also some models of self-watering planter boxes to consider if you’re planning to position them in your yard or garden. Keter is a renowned gardening furnishings manufacturer, its range of products including the Easy Grow Patio Flower Plant Planter. This planter box is one of the best on the market and distinguishes itself thanks to the ingenious design. The planter box is ideal for both indoor gardening and to place in the yard or on a patio. With a capacity of 31,7 gallons, the planter is ideal for a wide range of perennials and veggies, while the height of the product makes caring for your plants as easy as pie. The planter is made of polypropylene resin in a popular rattan pattern, matching with all current trends in patio furniture. However, its popularity is given by the intelligent design. In fact, the planter is equipped with a water reservoir designed to prevent overwatering and root decay. The reservoir has an easy-to-read water gauge that will let you know whether your plants need water or not, while a drainage system will allow you to control the level of the water at all times. Model: the planter box comes as a raised bed with a height of 29,8 inches. Besides matching perfectly in many environments, it is perfect for people with mobility problems, such as elderly gardeners. Capacity: this planter box is ideal for a wide range of perennials, including decorative plants and vegetables. It has a capacity of 31,7 gallons. Drainage system: the planter has a great drainage system made of a reservoir that stores excess water and let your plants use it as they need. You have full control of the watering level by opening or closing the drainage system. Water gauge: the planter is equipped with a convenient water gauge that lets you know whether your plants need additional moisture or not. The planter is less sturdy than it looks and needs to be handled delicately. If you have a small backyard or a patio and are looking for the perfect wooden planter to enhance the rustic design of your property, then the Elevated Planter by Best Choice Products might be the right one for you. This planter box is made of Chinese fir wood and is designed to give you an ample gardening space regardless of what type of perennials you’re planning to plant. In detail, the planter box has a length of 46 inches and a width of 22 inches. With a depth of 8,6 inches, the planter box is perfect for almost all types of decorative perennials and also for a wide range of veggies. Moreover, the box stands 30 inches tall, and it is perfect for all those gardeners who don’t like to bend or lean while gardening. The box comes disassembled but with all hardware required for the assembly included in the package. Quality: this planter box is made of high-quality Chinese fir wood. It is durable, strong, and made to last for years even outdoors. Solid: the planter is made of 0,75 inches thick wood, made to last through the seasons. Size: the box has an internal dimension of 46x22x8,6 inches and it is perfect for almost all types of perennials, vegetables, and herbs. Easy to assemble: the box is easy to put together and the assembly only requires a few minutes. All necessary hardware is included in the package. The manufacturer advertises this planter box as ideal for the outdoors but the wood is not treated. The 36-Inch Deluxe Garden Planter by Adams Manufacturing is a great planter box to consider if you’re looking for an aesthetic, sturdy, and affordable planter for your patio, deck, or balcony. This planter box is made of a resistant plastic material which is lightweight and weather resistant. The box is placed on four removable legs that give you plenty of choices of arrangement but that will also allow you to store the box with more ease. Raised, the planter box has a height of 36 inches, which is perfect for all those gardeners who don’t like to bend while gardening. Moreover, the planter is sturdy and made to last. In detail, it is rated to hold up to 150 pounds, while its shelf can hold up to 15 pounds. The planter is stylish and functional, matching with a wide variety of environments. The plastic material mimics wood very well and is available in a selection of colors. Drainage hole: the planter is designed with a reservoir that collects excess water, preventing it from getting on your floor. An easy to open drainage hole makes it easy to empty the reservoir. Design: this planter box is stylish and perfect to match with a wide variety of environments. The planter also has a shelf which is ideal to store your gardening tools. Raised: this planter box has a height of 36 inches. moreover, thanks to the removable legs, you can also place the box directly on the ground. Colors: the box is available in five different colors and you’ll be able to match it with your environment. Some colors are too shiny and don’t provide a great aesthetic effect. When all your gardening space means a small space on a shelf or on a windowsill, the CYS® Wood Rectangle Window Box Wood Planters with Removable Zinc Liner might be the right solution. This is a stylish wooden planter box easy to match with any interior design, let alone its quality and features. The planter box is made of 9 mm dark brown wood, and despite its rustic aesthetics, the planter is easy to integrate into a minimalist or modern design as well. Regarding the dimensions, the planter has 24x6x6 inches. It fits perfectly on a windowsill, it can be placed on a shelf, or even mounted on the edge of a terrace or balcony. If you have a yard, patio, or small garden available, the planter is also suitable to be placed outdoors. The planter is ideal for small perennials, such as violets, but also for perennial edibles, such as aromatic herbs or dwarf veggies. Zinc liner: the planter box comes with a removable zinc liner that is perfect if you want to use the item as support for small pots. Design: the finish of this planter box is simply attractive. The dark brown wood is stylish and elegant, matching with almost all types of interior or garden design. Size: the box is easy to locate in almost all spaces, thanks to the compact dimensions. It is perfect, especially for windowsills. Collection: the planter box is part of a collection including a range of planter boxes and raised beds. It is easy to mix and match to create original compositions. Neither the wooden planter nor the zinc liner has drainage holes, which is a bit of a hassle. In the lack of space, a great solution to grow a few perennials indoors is to plant them in these Wooden Plant Seeds Boxes. The boxes come in a set of three planters and are made of natural wood. Boasting a rustic finish and with a stable and sturdy frame, these planter boxes are simply ideal to grow succulents, shallow plants, or even aromatic herbs. Moreover, you can use these tiny planter boxes to grow your seedlings before transplanting them. The boxes are made of solid wood and are suitable to be placed either indoors or outdoors. Thanks to the compact dimensions, they are perfect to place on a windowsill or even on a terrace or balcony. Another feature we like about these planter boxes is their versatility. If you don’t feel like gardening, you can use them as storage boxes, or fill them with fruits, chocolates, candies, or gourmet snacks and use them as original bowls. Versatile: these planter boxes are ideal to use to grow your plants or as functional decorative objects, depending on your fantasy and needs. Convenient: the boxes are made to last both indoors and outdoors, and you can keep them inside or in the garden or yard. Stylish: made of solid wood, these planter boxes are stylish and functional. Moreover, they are environmentally-friendly. The ideal gift: the boxes are ideal as a gift for a gardening lover or for all DIY enthusiasts. The boxes are really tiny and they don’t have drainage holes. One of the best planter boxes on the market and the one that impressed us the most is the Easy Grow Patio Flower Plant Planter by Keter. This planter box is ideal for all those who wish to have a garden but are limited by the space. The planter is ideal to grow perennials or veggies, and it is perfect to place anywhere indoors or outdoors. The planter is made of sturdy polypropylene and it has a popular rattan pattern that matches perfectly with the garden furniture proposed by the same manufacturer. But the feature we like best is the design of the planter. In detail, the box has a capacity of 31,7 gallons, which is more than sufficient for most plants. On the other hand, the planter is equipped with a reservoir build to gather excess water, allowing plants to use it later. The water can be drained through a convenient hole and a gauge shows you whether it’s time to water the plants again or not. Without a doubt, this is one of those planter boxes made to impress.